Alexandropol (now Leninakan), where future Soviet Sculptor Sergey Merkurov was born in 1881, is famous for many crafts. Workshops of goldsmiths and copper smiths, carpenters and painters filled the streets of the commercial part of the city. From the ringing, knocking, heat, appeared in front of spectators products, rich in enchanting beauty and diversity of shapes and materials. But stone-cutters work attracted little Sergey most of all. Many months the boy spent with them helping, and finally received permission to carve Nightingale on a branch. “Perfect cutter’s roses smell better than the real ones, and his nightingale song wakes up the sunrise: in the hands of good master stone cutter everything comes to life, in the hands of bad master everything breaks down”, – Sergey was taught. But the way of life of the future artist was determined by parents: gymnasium, Tiflis real school, Kiev Polytechnic Institute. This was the beginning of the twentieth century – workers’ strikes and demonstrations shook the country. Among other students Merkurov took part in the demonstration, was caught by the Cossacks, and severely beaten in police custody. He was expelled from the Institute. Sergey went abroad. 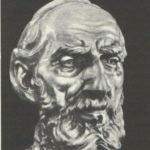 In Zurich, he joined the Faculty of Philosophy in the hope … “the great philosophers will open the wisdom of life, and help to know the truth.” Merkurov became a constant participant of political disputes. In 1902 he was present at the debate, where Lenin spoke. 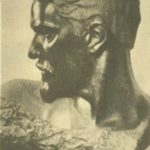 In 1902, in parallel with classes at the university, Merkurov became a pupil of the sculptor A. Mayer. Meyer was a strict teacher. He started teaching the basics, insisted that the future master of the craft must be thoroughly familiar with gypsum grade, preparing clay, sculpting, casting. Hard work, perseverance and patience define, according to Mayer, the sculptor. Sergei Dmitrievich had these qualities in the character. At the end of 1902 Merkurov entered the Munich Academy of Fine Arts. Work lasted 14 – 16 hours a day: sculpture, drawing, anatomy lessons, lectures on art history. Creation of the great Italian artists: Donatello, Verrocchio, Michelangelo captivated the young sculptor. To see the originals, he made many months traveling on foot to Italy, visiting Venice, Padua, Florence, Rome and many other cities. Now he knew that art was his destiny. 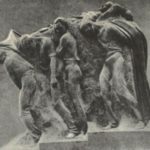 In 1904-1905 the next competition of sculptors on the theme of music was offered at the academy. Presenting the sketches and part of the future work, Merkurov received an honorable mention and a personalized workshop. He began to work on a huge composition of 18 figures. His plan has arisen under the influence of Beethoven’s Fifth Symphony. The sculptor worked with fierce voltage, forgetting about sleep and food. And then he got the terrible news of the execution of the Russian workers on January 9 at the Winter Palace Square. The shock was tremendous – the young man was taken to hospital. During the absence the clay has dried, smashed and dumped, and the workshop closed. 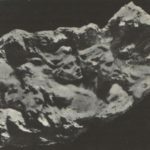 The photo preserved only fragments of the composition on which he worked. The next two years Sergey lives in France. Endless hours he spends in the museums of Paris, especially often in the Louvre. A huge influence on the young sculptor had acquaintance with Rodin. With solid experience and knowledge baggage Sergey returned to Russia. His first major product was the statue of Leo Tolstoy. November 7, 1910 the news of Tolstoy’s death shook Russia. Merkurov was invited to make a death mask, after which he began to work on the bust and statue. In the process of creative searches Sergey collects extensive data about Tolstoy, thoroughly studying the situation the writer’s life at Yasnaya Polyana, talking with widow – Sofya Andreyevna. “The Great October Socialist Revolution defined my place in the ranks of the builders of the new society. But not only that – it is widely opened the door of my studio”, the sculptor wrote. Works created by him before, were put on the streets and squares of Moscow. 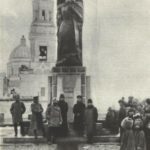 April 14, 1918 was published a decree of the Soviet Government “On the monuments of the Republic”, and in celebration of the first anniversary of the Soviet state, on the Tsvetnoy Boulevard, was the opening of two of his monuments – Fyodor Dostoevsky and statue “Thought.” Dostoevsky Monument was the first product of granite, established according to Lenin’s plan of monumental propaganda. In 1931 it was transferred to the former Mariinsky hospital, which is now the Museum of Fyodor Dostoevsky. The grand scale of monumental propaganda seized Sergei Dmitrievich. He begins work on the monument to Karl Marx. The first projects were unsuccessful, but Lunacharsky supported master with his faith in the success of the sculptural design. In a letter to Vladimir Ilyich, he writes about Merkurov “In my opinion, he is the only artist who is able to satisfy both you and the Moscow workers. 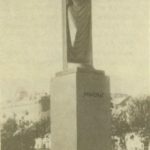 He has great power, the ability of psychological analysis and at the same time is realistic.” Lenin saw the monument projects, made some criticisms and had long conversations with the sculptor. 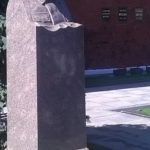 Marx monument was conceived and executed in granite and set in Simbirsk (now Ulyanovsk). 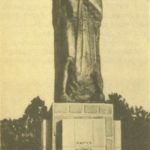 The grand opening of the monument took place on November 7, 1921. 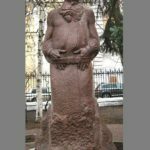 His next work was a monument to the great scientist Timiryazev set at Nikitsky Gate in autumn of 1923. This man has always sought to serve the people, was clear, precise, straightforward in all deeds and actions. Exceptional personal qualities of the scientist became the basis of the artistic image: direct figure shrouded in a mantle of full member of the University of Cambridge, proudly carried head, strong-willed gesture, clasped hands. 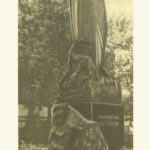 Timiryazev monument has become a milestone in the work of the author, and in the development of Soviet monumental sculpture. Pathos of revolution inspired the sculptor to create a heroic image. 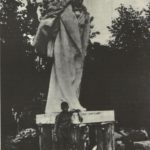 In 1924 he conceived the monument “26 Baku commissars”, work on which lasted for 22 years. 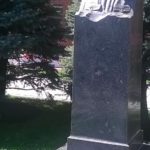 The huge monument made of granite (12 x 5.5 m) are carved figures of heroes, perish with the words: “We are dying for communism, long live communism!” Its leitmotif was the theme of the struggle for the revolution, the theme of selfless devotion to it. Center of the composition are the images of Shahumyan, Azizbayov, Fioletov, Japaridze. The monument was opened in Baku. For Merkurov Baku commissars were not only heroes of legend. He knew Stepan Shaumyan personally. 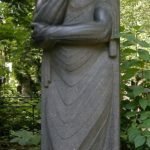 The Tretyakov Gallery has a portrait of Shahumyan, carved out of black granite in 1929, the image of an ardent champion of the revolution, a man of rare beauty and nobility. Among the works of Merkurov a significant place occupy portrait sculptures of Alexander Pushkin and Mikhail Lomonosov. 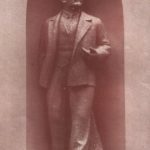 Many years of his life he gave to the work on extremely complex multi-project of the monument to NV Gogol. 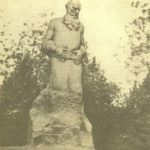 Gogol statue was finished in plaster completely, but the monument itself, unfortunately, has not been implemented. Merkurov was a major specialist in making the post-mortem masks. In his collection – about 300 death masks of prominent Soviet people – Sverdlov, Dzerzhinsky, Kalinin, Kuibyshev, Clara Zetkin, LN Tolstoy, V. Mayakovsky, etc. But the most important place in the work of SD Merkurov takes the image of Vladimir Ilyich Lenin. Repeatedly Sergey listened to the speeches of Vladimir Ilyich, met and talked with him. 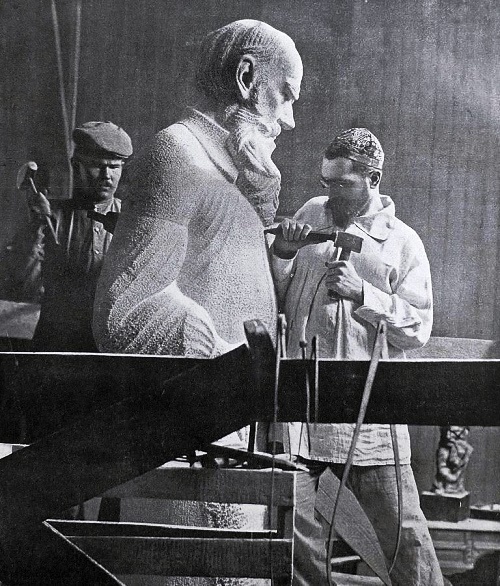 The sculptor wanted to sculpt a bust of Lenin. He often turned to Nadezhda Konstantinovna requesting persuade Vladimir Ilyich to pose. But this never happened. 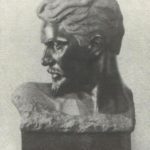 Late night in January 1924 Merkurov was invited to Gorki to make death mask of Lenin. 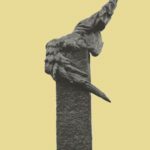 From that moment on he was obsessed with the idea to create a monument to Vladimir Ilyich. 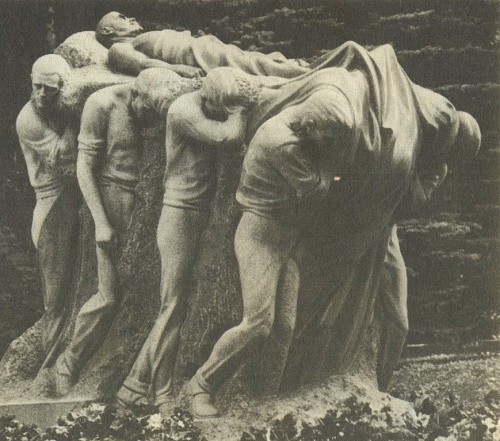 The sculptural composition “Funeral of the leader” in 1927 captured the people’s grief, stopped forever the mourning January rally. Among the best works of masters – a statue of Lenin, created for the hall of the Supreme Soviet of the USSR in the Grand Kremlin Palace (1939). The basis of this image are the memories of the author of the speech Vladimir Lenin on Red Square in 1919. 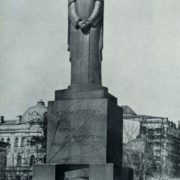 Among the many monuments to Lenin, created by Merkurov, stands the monumental ensemble in Yerevan (1940). The figure of the leader made of wrought copper, perfectly fits the architectural surroundings. For many years SD Merkurov was a member of the Moscow Soviet, a lot of time and effort put into the work of the Museum of Fine Arts named after AS Pushkin, whose director he had been in the late 1940s. During this time, the museum staff conducted important work on reception and restoration of the masterpieces of the Dresden Art Gallery, rescued by the Soviet Army. 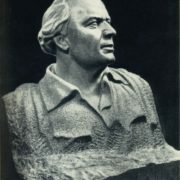 Soviet Sculptor Sergey Merkurov died in 1952. 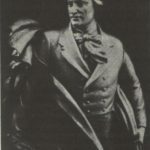 On his grave in the Novodevichy cemetery was put the monument “Thought” created by him.